WineLA recently showcased the Wines of South Africa, WOSA in Marina Del Rey. 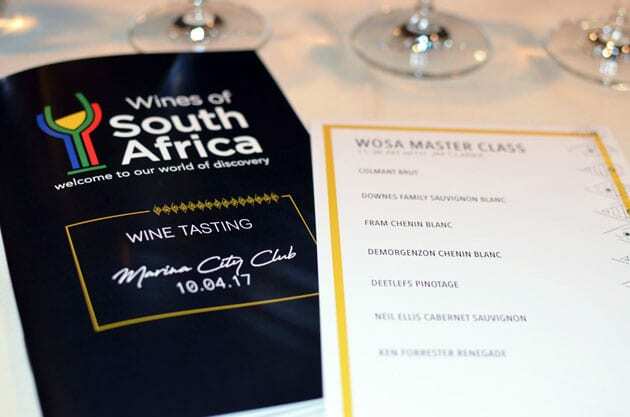 The wine tasting at the Marina City Club presented the diversity and styles that elevate South African wines into the 8th largest wine-producing region of the world. In South Africa, most vineyards are located in the Western Cape, an area where sea breezes from the Atlantic Ocean play an integral part in the terroir and grape growing. These areas elicit a Mediterranean type climate. The Benguela Current comes up from the Antarctic to the west coast of Africa bringing a cooling effect to the vineyards. Due to South Africa’s location south of the equator, the growing season runs from November through April. South Africa consists of five different production areas. The first, a Geographical Unit comprises a large appellation allowing for multi-regional blends. Next come Regions, large areas that follow dominant geographical features. Districts are smaller areas, which vary in size but share environmental aspects that in turn impact the style of wines created. Wards contain areas with similar soil and geography that produce a particular style of wine. Finally, Single Vineyards, an area of fewer than six hectares producing a single variety. The Western Cape encompasses five regions while the South African winelands contains 27 diverse districts and approximately 77 smaller wards. Stellenbosch, Paarl, Franschhoek, Elgin, Elim and Constantia represents some of the more notable districts and wards. In 1973 the Wines of Origin System was established. The following qualifies a label for this designation. Wines that carry this certification, guarantee that a tasting panel approved the wine. The certification also ensures that 100% of the grapes used come from the area stated on the bottle. If a vintage is stated, 85% of the wine must come from that year. Lastly, in listing a variety, at least 85% of the wine must contain that grape. The main white grapes grown in South Africa are Chenin Blanc, Sauvignon Blanc, Chardonnay, Colombar, used mainly for brandy production, Hanepoot and Muscadel, both variations of different Muscat grapes. The red varieties grown are Cabernet Sauvignon, Shiraz, Merlot, Pinot Noir and Pinotage. You will find several other Rhone varieties grown for blends. as well as some Portuguese varietals used for port-styled wines. Today, Chenin Blanc is the most planted grape in South Africa. Vineyard acreage for this variety exceeds those planted in the Loire Valley. Chenin Blanc typically reflects the new world character of all wines produced in South Africa. Pinotage is the South African heritage grape. It is a crossing of Pinot Noir and Cinsault and known for its smoky flavors. The Pinotage grape is recognized for smaller sized grape clusters and a skin to juice ratio greater than most other varietals. South Africa has a growing number of women winemakers. I discovered four American born women winemakers, who relocated to South Africa, making wine. A couple of these women are self-taught. This tasting featured several of these notable women in the industry. I first experienced Botanica in 2013 when I sampled their superb Chenin Blanc. 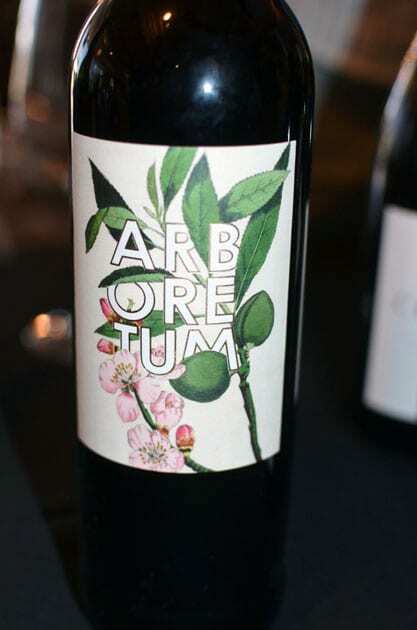 Currently, at the Wines of South Africa event, I tasted Arboretum, a red Bordeaux blend from Stellernbosch. The 2014 vintage proves what I discovered in 2013, that winemaker Ginny Povall has a bright future. Not only are Ginny’s wines exceptional but also the artwork on the label is eye-catching. Ginny was captivated by the artwork of Mary Delany when she saw her work at the Yale Center for British Art. The botanical collages were created from hundreds of tiny pieces of cut paper in the late 1700’s. Ginny licensed some of Mary Delany’s collages, which she now uses for her wine labels. 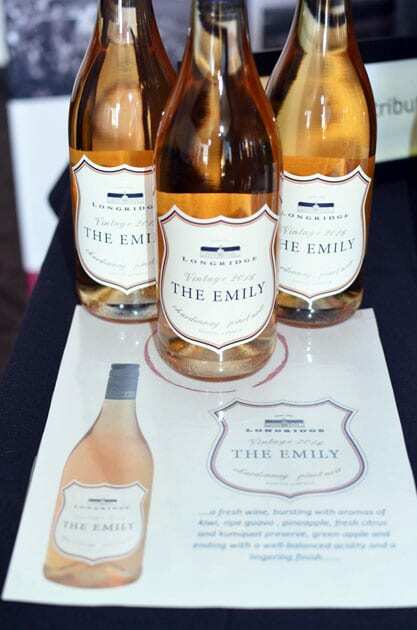 These wonderful works of art adorn her bottles but also Ginny named her wines after them. Again in 2013, I found another wine, Black Pearl’s Mischief Maker created by woman winemaker Mary-Lou Nash, a Maine native, who followed her family to South Africa and also became a self-taught winemaker. This time I sampled the Black Pearl’s Oro, Paarl, 2014. The wine, a blend of Cabernet Sauvignon and Shiraz delivers a light, fruity and bright wine. Another women winemaker making her mark on the South African wine scene is Andrea Mullineux. Originally from San Francisco, Andrea studied Viticulture and Oenology at UC Davis. She met her husband Chris in France and moved to South Africa. 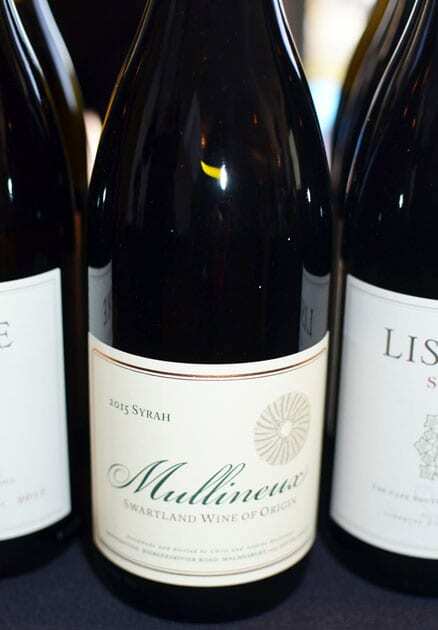 I tasted two wines from Mullineux and both displayed wonderful subtle qualities. 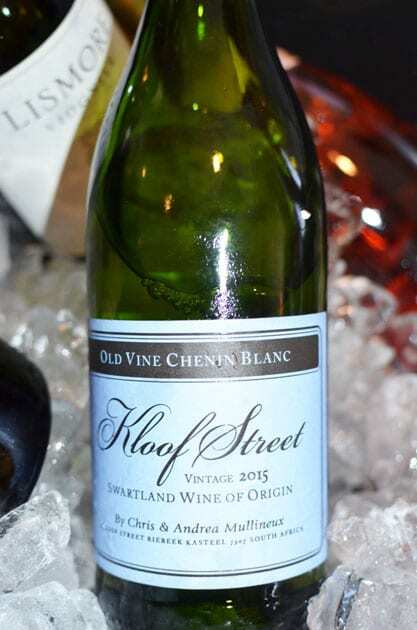 First, Kloof Street Chenin Blanc 2015 and most impressive, the 2015 Syrah, a balanced wine reflecting an old world style, barrel fermented and aged 12 months in older oak. An interesting winery is Painted Wolf Wines because of its dedication to helping the African Wild Dog also known as the “Painted Wolf”, a highly endangered species. Painted Wolf Wines makes a contribution from the sale of each bottle of wine to various charities that work with this endangered dog. With Painted Wolf Wines’ focus on the African Wild Dog as a pack animal, the team philosphy also represents the pack or den of dogs. The African Wild Dog roams the South African terroir and many of the wines from Painted Wolf ingratiate that terroir by utilizing dry farm and organic methods of growing their grapes. 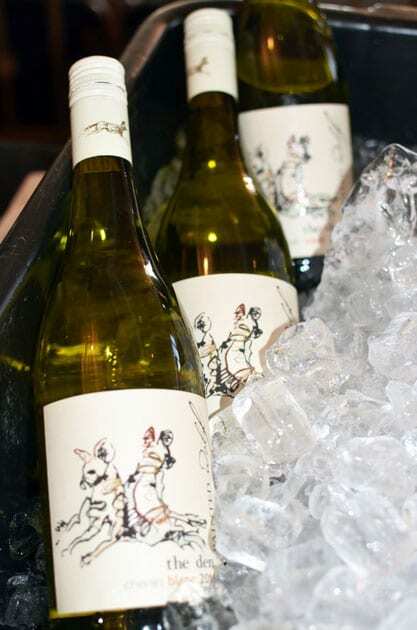 The wines are adorned with a beautifully abstracted rendering of the Painted Wolf on each label. On this occasion, I sampled their 2016 Chenin Blanc, The Den, Swartland, a very drinkable bright and light wine. Painted Wolf Wines Chenin Blanc. I think the most interesting wine of the day was the Longridge Chardonnay – Pinot Noir, Stellenbosch. Copper in color, the wine blends mostly Chardonnay with a bit of barrel fermented Pinot Noir. The small percentage of Pinot makes the wine very subtle, unique and different with an added freshness. The wine utilizes organically grown grapes. Another favorite Chenin Blanc comes from Demorgenzon. This winery plays Baroque music in the vineyard and winery. Méthode Cap Classique or MCC signifies the South African sparkling wine created in the traditional method. 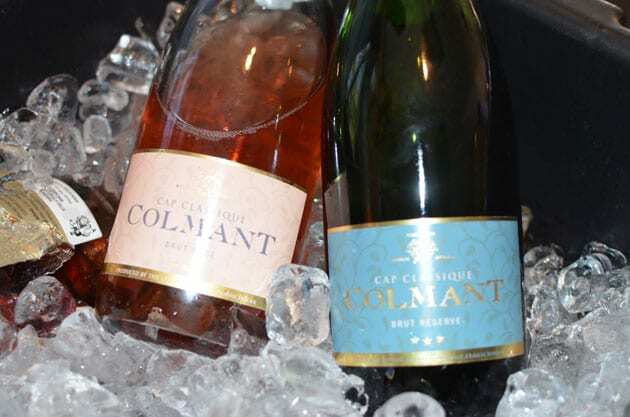 Colmant Brut and Rosé were favorites with their flavorful creamy textures. Due to time constraints, I missed tasting several Pinotages but Kanonkop Kadette Pinotage Rosé, Stellenbosch, 2015 stood out. The new generation of young winemakers formed a group called The Zoo Biscuits. One might equate this group to the California Garagistes. South Africa and its wine industry have come a long way since its beginnings in 1659. Greater strides occurred in the 1990s after Nelson Mandela’s release from prison, the ending of isolation both nationally and internationally thus opening doors for a more peaceful nation. Note: Common to the wine industry, this writer was hosted at this wine tasting for the purpose of review. While it has not influenced this review, the writer believes in full disclosure.